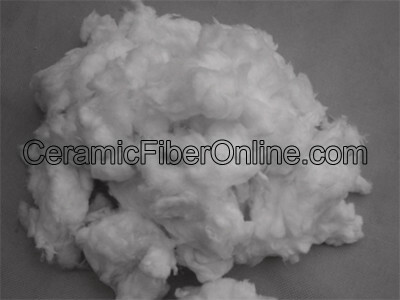 Ceramic bulk fiber products are a family of high-temperature fibers designed to be used in a variety of industrial and commercial applications. Made from alumina-silica materials, they are chemically inert. Ceramic bulk fiber products are available in a variety of chemistries and diameters which can service a wide variety of applications. In addition, these fibers can be further modified by chopping or by removal of the unfiberized particles (called shots). Lubricants can also be added to the fiber to enhance fiber properties. They exhibit excellent chemical stability and resistance to attack from most corrosive agents. Exceptions include hydrofluoric acid, phosphoric acid and strong alkalis. Ceramic bulk fibers also effectively resist oxidation and reduction. If wet by water or steam, thermal and physical properties are restored upon drying. Ceramic fibers contain no water of hydration.